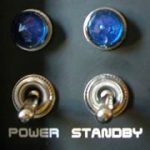 Does The Standby Switch Protect Guitar Amplifiers? If you own a valve guitar amplifier you will almost certainly have a standby switch on it. Traditional thinking says that the standby switch is there to protect the amplifier output valves. mplifier has two sorts of valve – preamplifier valves (the smaller ones) and amplifier output valves (the larger ones which do the ‘heavy lifting’). You’ve probably been taught to protect the amplifier output valves by leaving the amplifier in STANDBY whilst it warms up. You then switch the standby switch to ON after a minute or so. In some vague, unspecified way, this is supposed to protect the amplifier output valves, right? But is it true or is it a myth? If you hold off applying HT to the output valves whilst they are warming up, does it extend their life? Amplifier Output Valves – Does The Standby Switch Give a Longer Life, or not? This is a really curious and controversial story. To begin with, in case you didn’t know, all the standby switch does is turn off/on the HT (high voltage) supply to the amplifier output valves. It doesn’t affect the valve heaters or any other part of the circuit. So if nothing else it is a useful ‘mute’ switch! But is it more than that? After all, there are probably easier ways of achieving the mute function other than switching the 500V line! Turn on the mains power. Wait a minute or so for the amplifier output valves to warm up. Turn the standby switch on, thereby applying a high voltage to the amplifier output valves. Why have they done that? It is this last point which is the most interesting. Rumour has it that turning on the HT as the amplifier output valves warm up causes something called ‘cathode stripping’. Sounds bad? It apparently shortens the life of the amplifier output valves as all that ‘stuff’ is stripped off the cathode. Not true, apparently! Some very authoritative sources (top valve engineers who know their way around a differential equation) say this is a carried forward error from the days of (very) large radio transmitter amplifier output valves. These DID suffer from this if the operators did not warm them up properly prior to the application of HT. Apparently, this is NOT true of the amplifier output valves used in audio (e.g. guitar) amplifiers! Interestingly you can’t get a straight answer out of Marshall, Fender et al. regarding the extension of the life of amplifier output valves using the above-approved sequence. These companies will simply intone the mantra that you should follow their laid down sequence. Perhaps these companies would be really embarrassed to admit they had got it wrong for the last 50 years and that there was NO lifetime improvement of your amplifier output valves! 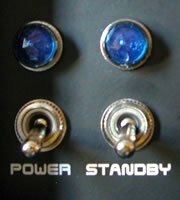 How should I use the standby switch on my guitar amplifier? If you habitually follow the sequence above then carry on as it certainly won’t hurt, and neither will it extend the life of your amplifier output valves. But word is out that it makes no difference, you can turn the power and standby switches on/off together! By the way, you NEVER have to go into standby before turning the power OFF, and you never did. Just go ahead and kill the power when you’re finished. It certainly won’t hurt to put it in standby first, of course. But none of this will have any effect on the life span of your amplifier output valves. 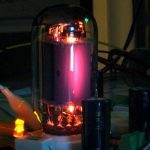 Valve amplifier reviews will rarely if ever, mention amplifier output valves or the standby switch. 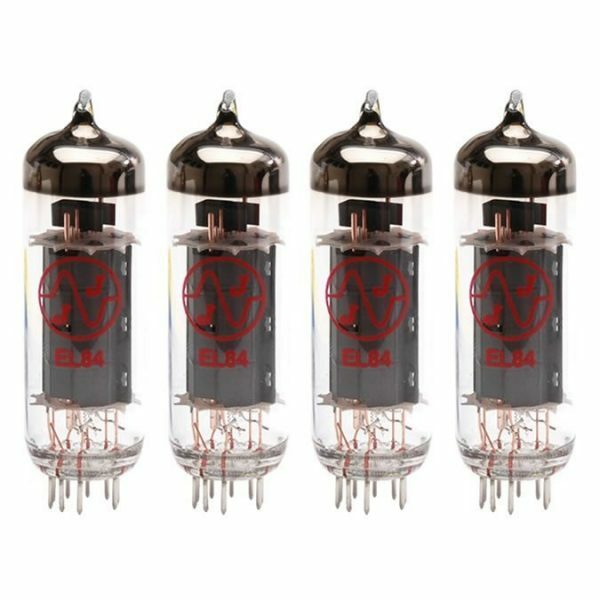 Looking for new valves for your amplifier? We are one of the leading suppliers, check us out here.